This item is an image. It was created by an unknown creator on or around the date published: 1911; time period: 1910s. 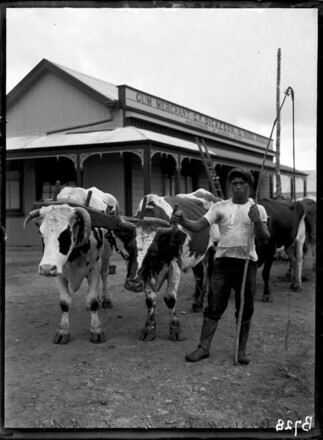 Young Maori man holding a whip stands beside a yoked bullock team. Behind is the building of gum merchant 'C. F. Dickeson'.